Creative, carefree Balboa is known for its beautiful boardwalk, boating, biking, shopping, and lounging opportunities. Technically a part of Newport Beach, Balboa can easily be accessed via a bridge, ferry, and several public docks, which makes the whole area seem quaint. Unfortunately, these very features can make it difficult to move into or out of the area. That’s not the case when you hire the Balboa Movers at Coast Valley Moving & Storage, Inc.
Our Balboa moving company knows what it takes to get your stuff on the road and unpacked at your destination. Having been in business since 1972, we’ve helped many residents move to and from the island, so you can rest assured that we can help you too. With ProMover status from the American Moving and Storage Association, you can rest easy knowing you’ve hired the best Newport Beach movers for the job. As an agent of Wheaton World Wide Moving, we can take you anywhere life does. Whether you’re moving across the street or your heading for the open road, our movers in Balboa are true interstate moving experts. Moving is a messy business, and what you’ve grown accustom to at your current house may not be able to go with you right away to your new home. That’s where our Balboa moving and storage solutions come in. Whether you need us to hang onto your things for a few weeks, a few months, or a few years, you can rest easy knowing that your most prized possessions are being well taken care of. That’s because we offer both short- and long-term storage solutions. When it comes to Balboa moving companies, there’s no question that Coast Valley Moving is among the best, but how much do professional moving services cost? 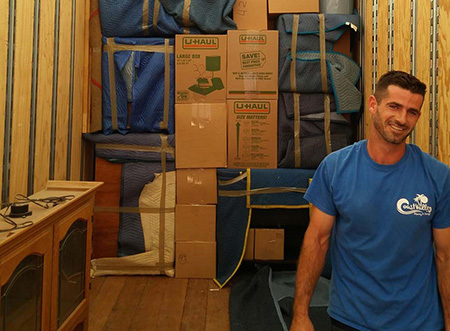 Don’t let the fear of outrageous moving fees keep you from the experienced moving services you need to make sure you stress less during your move. To make sure that we fit into your budget, we’ll provide you with a free, no-obligation estimate. Want to learn more about all the ways our Balboa movers can make moving more enjoyable for your family? Fill out our convenient online form and we’d be happy to contact you and answer all of your questions!